We hear a great deal of “market discipline” in Europa in particular for helping to eradicate macroeconomic imbalances in the euro area while millions of people are still suffering from high underemployment. How accurate is the dichotomy “government versus market” in the current economic debate particularly in the face of Global Financial Crisis? The conventional “government-versus-market” dichotomy is not only misleading, but also dangerous. For it is the government that makes markets work. This is perhaps most obvious in the case of antitrust policy, because competition is essential to effective markets and yet business people would prefer to collude rather than to compete – if given the choice. So the government deploys antitrust to force them to compete. But the government role in creating, maintaining, and enhancing dynamic markets goes far beyond antitrust, including everything from establishing corporate laws to financial regulation. The dichotomy is dangerous in the sense that it contributes to policy failures, both small and large – but none more devastating than the global financial crisis itself. For example, the U.S. free-market worldview contributed to the failures of deregulation (e.g. the Gramm-Leach-Bliley Act), non-regulation (derivatives), lax regulation (the mortgage finance market), and over-reliance on private intermediaries (credit agencies) that all played a role in the crisis. What adverse consequences do you see starting from the “free-market” ideal for the academic economic research? Economists and political economists recognize that the free market is a construct that does not actually exist in the real world, yet the free-market frame can distort their analysis nonetheless. For example, many economists position the free market as the alternative to government action, rather than real-world markets thoroughly sullied with collusion, fraud, confusion, incompetence, and power imbalances. This can give policy analysis an unwarranted bias against government action. Likewise, economists often argue that deviation from free market principles should be justified with reference to market failures. 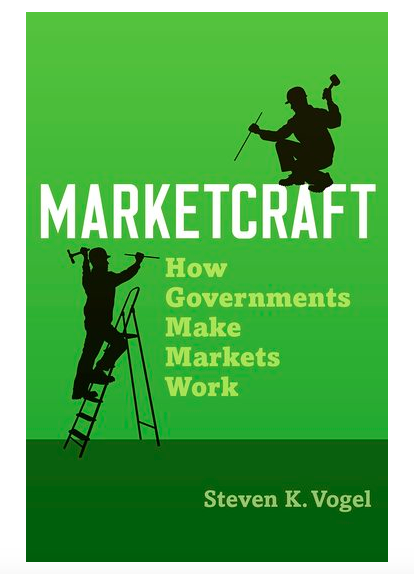 This can be a helpful way to understand how the government can remedy specific problems, but it also implies that government action is a second-best solution, rather than a prerequisite for modern markets to function in the first place. It evokes an image of a one-by-one matching of government responses to market failures, rather than a more holistic process of market design. And it positions the government in a corrective role, repairing market defects, rather than a generative role, building market institutions. In your current book (“Marketcraft”), you say that markets should be viewed as means and not goals in themselves. How can we craft governance to empower markets so that they serve the benefit and the well-being of the public? What are the impediments? To properly address this question, we would have to begin by setting our policy goals. Do we want to prioritize economic growth or equity? Do we want to define growth narrowly, as GDP growth, or do we want define it more holistically? For the moment, however, let’s say our goal is to maximize equitable growth. Then recent research makes it clear that marketcraft is critical to achieving this goal. After all, economic inequality is driven not only by the government’s failure to redistribute resources more aggressively, but by market governance that distributes resources unevenly in the first place. Specifically, corporate governance, labor regulation, financial regulation, antitrust policy, and intellectual property rights all powerfully affect the allocation of economic returns. Redesigning this governance to allocate returns more equitably would probably boost growth rather than sap it, because many of the current rules undermine competition and provide rents for the powerful and the wealthy. The primary constraint on effective marketcraft is politics, of course. But conceptual and linguistic confusion – such as the government-versus market dichotomy and the free-market worldview noted above – impedes skillful marketcraft as well. Steven K. Vogel is Il Han New Professor of Asian Studies and a Professor of Political Science at the University of California, Berkeley. He specializes in the political economy of the advanced industrialized nations, especially Japan. He recently completed a book, entitled “Marketcraft: How Governments Make Markets Work”, Oxford University Press (2018). Great article thank for sharing this nice post.